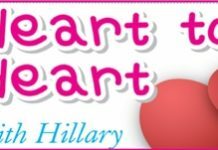 Home Blogs Heart to Heart with Hillary Age differences matter? I have seen many older foreigners with young Thai wives, and wonder if these marriages ever work, with so many years between the two. They generally look happy enough, but you hear such terrible stories that I wonder if any of these young girls ever become settled wives and mothers, or do they just move on to the next foreigner who will give them a good lifestyle? Marriages made in heaven can also end up in hell. The last time I looked, around 50 percent of marriages end up in divorce – and that isn’t Thailand – that is the US and UK. So if one out of every two marriages here end up in the Amphur being scrapped, that’s about world average. Are you looking at joining the Amphur club, Petal? Or just testing the water?